As I said a little while back, there are two fragrances that invariably make me think of autumn. One of them is Nature Millenaire, with its aura of fallen leaves and mulch, the harbinger of winter. The other is Brandy. I don't know why, but I hate apples almost as much as I hate cucumbers. Something about the sound and the smell of them just horrifies me. However, when you use the culinary arts to transform them, by pickling (cucumbers bad, gherkins good) or cooking (baked apples! apple pie! applesauce! ), they become wonderful. What's wonderful about Brandy is that it smells intensely of cooked apples without venturing into the realm of either the gourmand scent (no vanilla here) or cheap apple-cinnamon potpourri. Brandy conjures up its autumnal world through a fascinating contrast between warmth and coolness. It smells predominantly of hot baked apples and warm apple cider, but it also has a crisp edge to it, like the cooling air of autumn, contributed by some fairly sharp spices and herbs. Late in its development it becomes even warmer, and somewhat (but not overwhelmingly) sweet; it's never patisserie, because it carefully avoids the richness of gourmand scents. It's not quite minimalist--it has a complexity--but it's simple and gratifying. 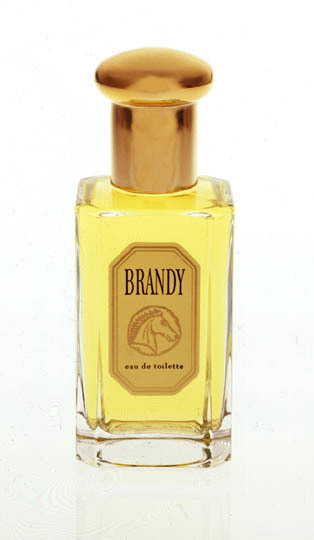 Brandy is a comfort scent. It suggests cozying up by the fire with a glass of mulled cider after a brisk October walk, and if you love the fall, what could be better than that? Cavallier (proffering a touche): This, I think, most closely fits the brief. Marketer number one: This is root beer and ambergris. Cavallier: No! 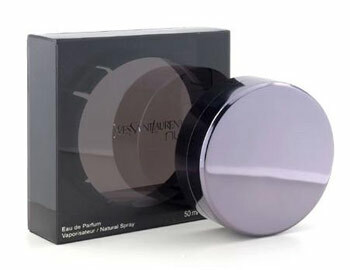 It's the scent of conquest, a new weapon in the modern woman's arsenal of seduction! Marketer number two: No, it's root beer and ambergris. Marketer number three: Hires root beer. What contributes to the delicious root-beery feeling of Trouble is its vibrant, lemony top note (which evokes the sparkle of soda pop) and the waves of vanilla that follow not long afterwards. What contributes to the ambergris feeling is ambergris and lots of it. There are other things in there, too, of course. There's a little spike of jasmine in the middle, and some warm, soft woody notes in the base, mostly, I think, sandalwood and, as an attempt to cut through the vanilla a little, cedar. But while the marketers might want to call Trouble a floral oriental, the floral notes just aren't that important: they're wallpaper to the narcotic dreaminess of the oriental notes. As is true of so many orientals, it's not particularly marked for gender: there aren't any of the usual aggressive notes of men's oriental perfumery, but you can still easily imagine a man wearing this. I know I do. The bottle is unexpectedly heavy, and exceptionally well made: it's all little touches. The cap is crowned with a curved puddle of transparent red lacquer which nearly obscures the initial B. The green-eyed snake which coils around the cap is all of a piece: it's molded into the bottom half, but somehow detached from the top half, a tiny triumph of engineering. The bottle does call to mind that of Ralph Lauren's first women's scent, Lauren--same colour, same basic shape--but the elegant facets set it apart and suggest the product of a jeweller. You can't tell this from the photograph above, but it stands on four tiny square feet which are set in from the edges so that it almost appears to hover. If you've ever looked at Jo Malone's pairings such as Blue Agava and Cacao or Basil and Verbena and wished for a Root Beer and Ambergris, well, here you go. I had been hoping beyond hope that the second men's scent from Issey Miyake would be a version of his strange and extraordinary women's scent Le Feu D'Issey, but no such luck. 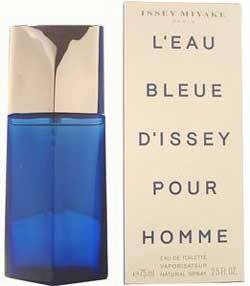 Instead, what we got was L'Eau Bleue d'Issey Pour Homme. The first thing I smell is lemongrass and rosemary, which are both lovely and accurate, but already, right from the start, there's a strong, synthetic corrosiveness to the scent. The smell of ginger is what's to blame, I think: it has that same laundry-soap harshness that can put me off Bulgari Blu Pour Homme, but without even any of that scent's mitigating pleasures. Midway through the development of L'Eau Bleue, an edgy and appealing anise note shimmers to the surface, but it's keeping bad company, and it isn't enough to mask the harshness. The bottle's great: a clever reconception of the original, with a sharp pleat down the middle and shiny blue glass and chrome instead of the frosted glass and aluminum. It's what's inside that bothers me. I'm still dreaming of a knockout men's oriental from Miyake. I know he can do it, but if he keeps pumping out endless summer reformulations of his original Eau, punctuated by this thing, then I have a long wait ahead of me. I think most of us, maybe all of us, who have large libraries of scents divide them more or less into seasons: we have light, fresh fragrances that would seem pointless in the cold winter and hothouse scents that would be overwhelming in the summer heat. I have a couple that have autumn written all over them--that so specifically call that season to mind that it would seem perverse to wear them at any other time of the year. Six years ago, a fellow scent addict, someone with whom I exchanged e-mails and swapped fragrances by mail, wrote me to say, in essence, "Get on the phone and order Yves Rocher's Nature Millenaire pour Homme. Just do it. You won't be sorry." And I took her at her word and did it, and boy, was she ever right! It's become a mainstay, but only in the fall: I break it out in September and tuck it away a few months later, because it's the most autumnal scent in the world. The opening is citrus notes and what the company calls "Earth scents", and what they apparently mean by that is "cool autumn air and fallen leaves", because that's exactly what it smells like. There's a suggestion of decomposition: amid the crispness of those leaves is the smell of loamy earth to which they're returning. You can practically hear it all beneath your feet. Completing the middle note is a hard dark core of cedar and sandalwood, underlaid with a suggestion of burning...not leaves, which would have been interesting, but incense, paired with myrrh and a glaze of barely-sweet vanillic benzoin, just to prove that autumn is not all about death. It's astoundingly long-lived: it remains noticeable twelve hours after applying, and right now, twenty hours after I put it on, there's a little aura of myrrh and vanilla on my skin, like the merest ghost of I Coloniali's Mirra & Mirra. A companion scent to the still-available Homme Nature, it's in the same bottle with that same leafless tree inscribed into the back, but in a brown glass rather than the fresh green of Homme Nature. I can't imagine why this scent was discontinued last year: presumably it was meant to make room for their two new men's scents, Transat (tedious fresh oceanic) and Hoggar (uninteresting, overly simplistic woody oriental), which feel like a revisiting of an older pair of much better scents, Antartic and Samarkande, in fragrance, packaging, and advertising. They made a mistake, as far as I'm concerned: Nature Millenaire could have been a mainstay in their fragrance line. If you've read more than a few of my postings, you will have discovered that I am a madman for ambergris. Perfumery would be nearly impossible without it: it adds a warmth, a lustre, a sweetness and an earthiness to everything it touches. Naturally, I was delighted when I found the new Stella in Two scents at a local department store--two scents meant to be worn separately or together in whatever combination the wearer desires. I wasn't expecting too much from the Peony, because I am mostly not a great fan of that flower: fresh peonies are pleasant but I find they don't survive the process of the perfumer's art (I find the same is true of lilacs). Great bottle, mind you. But the Amber--surely that would delight me. It's a solid perfume in a remarkable little case: a faceted octagon in pale pink enameled metal with a lid that pivots, and it is heavy. What did they make it from, lead? And what did they make the scent from? It's really amber in name only. 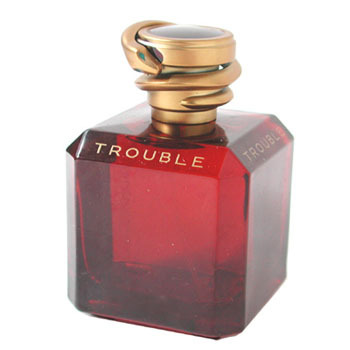 Mostly the scent consists of a rose note with an ambergris undercurrent: the whole thing is pale, a faded watercolour--a bizarre achievement, since amber is anything but pale. It's muscular: it makes its presence known. But this wishy-washy scent: what is it? It's just about the most baffling commercial scent I've ever smelled. I can't imagine having bought the odd, pinky little thing, even if I'd liked it, but I wanted to like it, and I was disappointed that I didn't. It is hard to write about scent. Someone--Laurie Anderson, definitely, though I think she was quoting Frank Zappa--said, "Writing about music is like dancing about architecture", and that goes for fragrance, too. We don't have a big, clear vocabulary to talk about scent, and so we end up comparing a scent to other things--other scents, usually, but also colours and music and shapes and any other metaphorical thing that we think will get our point across. But it's hard to do in a way that seems concrete, and it's really hard to do over and over again without feeling as if you're repeating yourself. It's so hard to do that I was thinking of discontinuing this blog: I have another one, and a job, and hobbies, and a life. But then I got a comment (read it here) and I thought, well, at least a couple of people read this and seem to like it, so that makes it worth doing. And I've always thought that something worth doing was worth doing right, so I've resolved to write at least twice a week, maybe three, until I get hit by a bus or run out of scents, whichever comes first. Tabu by Dana is just about the perfect example of this. It's very cheap: I have a half-ounce bottle that cost less than six dollars--Canadian dollars. And yet it's wonderful--striking, bold without being overbearing, absolutely perfectly balanced. If someone gave you a spritz from an unmarked bottle and told you it was the new thing from some Italian or French design house, you might not like it (it takes a certain kind of person to wear it), but you probably wouldn't think of it as a drugstore scent, either, because it's really good. Tabu is an oriental scent, make no mistake. There are flowers in there: a splat of orange blossom, a dab of rose and jasmine. They don't stand a chance against the onslaught of the oriental base notes, though, allied with potent carnation (my most beloved of all flowers). 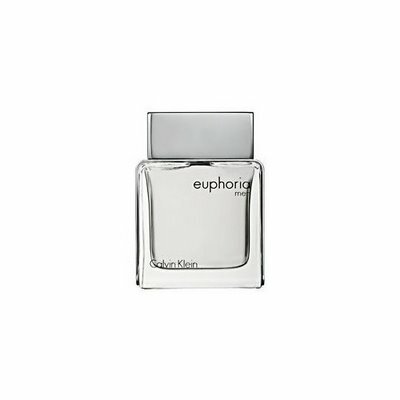 Almost from the beginning, those powerhouse oriental notes come flying at you: civet, sandalwood, ambergris, benzoin, and most of all patchouli, lots of it, just dirty enough to put impure thoughts in your head. Of course it's sexual: oriental scents are meant to be carnal, but this one acts as if it invented indecency. The more you smell Tabu, the more you realize that it was not only the inspiration but the template for YSL's Opium, which followed it over fifty years later. Opium is beyond a doubt more complex and, truth be told, more interesting than Tabu, but it's still a devoted homage. Tabu is the original, and the fact that you can have it for just a few dollars makes it more, not less, appealing, to my mind. By the time it's breathing its last (for an eau de cologne it's startlingly long-lived), an animalic whisper of musk and benzoin, you won't remember how much you paid anyway.